Listing Broker: RE/MAX Sails Inc. 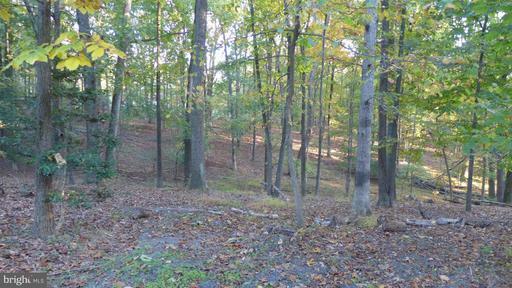 Absolutely beautiful lot with a high homesite!! Open fields surrounded by woods. Gently rolling. Private. Even a small creek at the back of property. QUIET! NO traffic...yet quick access to major roads. TOP quality schools. Approved Perc sites are old...most likely need to be re-perced. No well. Contact LA for info about Covenants. Call LA for more details. 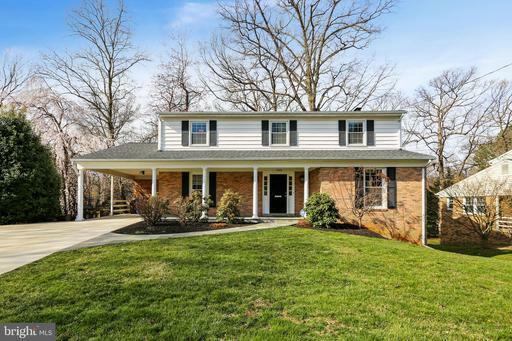 Beautiful move in ready colonial home in the sought after community of Quince Orchard Park. This home features hardwood floors on main and upper level, recessed lighting, wainscotting details, freshly painted walls, and tons of natural light. Upgraded kitchen with smart appliances. Separate, formal living and family rooms on main level. The master suite boasts an en suite bath and a spacious walk-in closet. The basement features a full bath and bedroom with laminate flooring. Relatively new HVAC and A/C systems installed 2012. Enjoy the outside from your own deck or take a walk to the community amenities; pool, tennis, basketball courts, and parks. Must see! 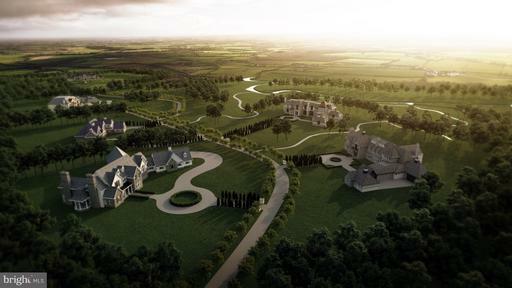 Terrific opportunity to build your dream home in DHS district in sought-after community of $850k homes. 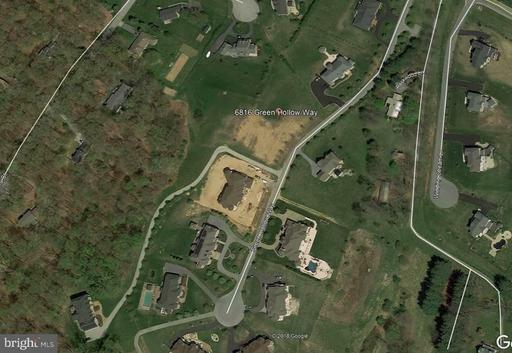 This is the last lot available in Highland Manor, located just 1.5 from downtown Damascus. 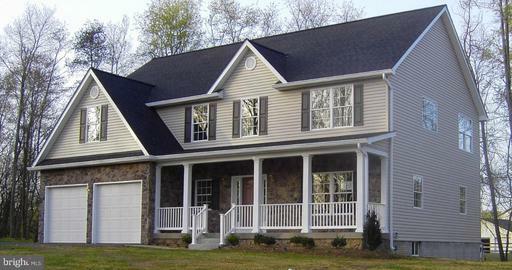 Home construction by Classic Homes of MD. 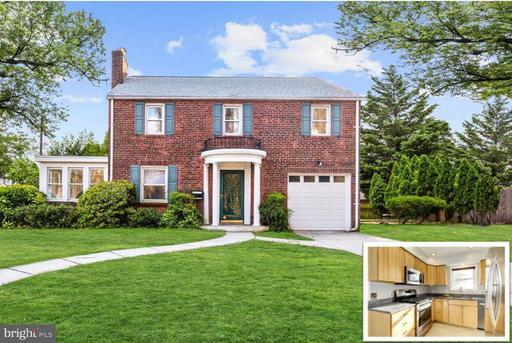 Located in Wheaton Hills, this charming 3 BD, 2 BA rambler sits on an expansive, private lot. Recently renovated kitchen boasts granite counters, tile backsplash, and stainless steel appliances. Two light-filled bedrooms can be found on the main level, both with wood floors and two spacious closets. Downstairs, the lower level includes a spacious laundry room, a third bedroom, a full bath, and a private den / office space. Outside, the sprawling exterior features a private yard with a spacious patio - perfect for dining al fresco on a warm summer evening. Design Meets Comfort in this Awesome Home! You will love the Large Eat-in Kitchen, Dueling Master Guest Suites and Its Impressive Use of Space. Relax in its Spacious Living Areas, Enjoy the Elegant Finishes Be Wowed by the Attention to Detail. Renovated Kitchen with not only Gorgeous Granite Counters, Tall Cabinets, Glass Tile Backsplashes, Stainless Steel Appliances, but also Boasts Ample Counters, Pantry Areas, Generous Storage Space Breakfast Island. Fit a King Bed in To Die for East Facing Master Suite w/ 11 Linear Feet of Closet Space and Great Morning Sunlight. Fall in love with the Designer Master Bath w/ His Her Marble Vanity and Stunning Chic Shower w/Frameless Glass Entrance Door. 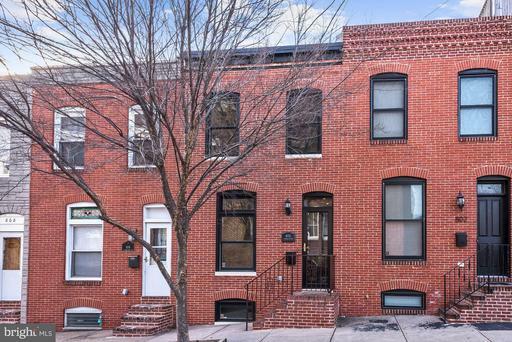 Enjoy the Open Main Living Area w/ Refinished Original Hardwood Floors Beautiful Exposed Brick Dining Room Wall which enables a subtle, effortless transition to the Large Cozy Front Living Room. Private Backyard w/Great BBQ Patio Area and Extra Large Easy Access Parking Spot. Perfect Location blocks from Canton Waterfront Park, Restaurants on the Square Shops at Canton Crossing. Do not let this Amazing Home Slip Away. Call to Schedule a Tour Today! Stunning Home with an abundance of upgrades and improvements within the last five years to include an upper level perfect for entertaining - cat walk to Billard Room with Wet Bar, surround sound and private study. 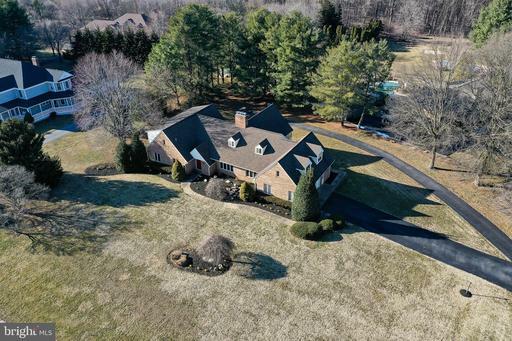 Main level with dramatic 2 story/2 sided stone fireplace, formal living room, formal dining room, family room open to kitchen and three season room, master suite with private master bath, 2 additional bedrooms and one bath on main. Lower level with Bedrooms 4 and 5 as well as a full bath and family room with separate two car garage. Total of four car garage - two separate driveways. Amazing neighborhood, incredible schools and close to shopping and major commuter routes. Classic contemporary home in exquisite location. More than 4,500 finished square feet, including ground floor MBR and 2 additional large en suite bedrooms on upper level. 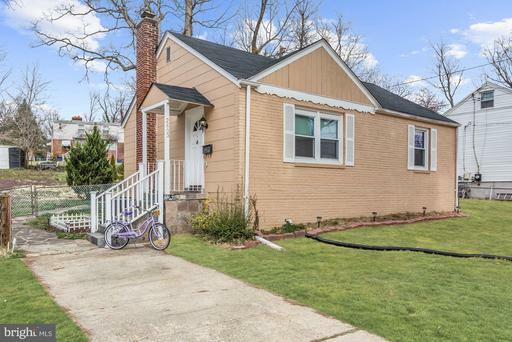 Spacious family room, Large LR with FP* Open Kitchen with hood vent; Mud room next to Large 2-car garage. Main Level Laundry, many many upgrades.House located in district with some of the best schools in the area. Quiet street, Neighborhood lake, wonderful walking, jogging and outdoor spaces. Custom Built Victorian, over 6,500 finished sq ft with Wraparound Porches in Prestigious Howard County An Award Winning School District. This home includes 5 Bedrooms 5.5 Baths is on a 1.01 Acre Beautifully Landscaped Lot. Family Room w/ Wet Bar and French Doors that lead out to Rear Deck with Picturesque Views. Main Floor also includes an Elegant Entry Foyer and Powder Room, 2 Additional Bedrooms, including a Newly Beautifully Updated Full Bath. The Master Bedroom includes an additional Sitting Area Separate ~His and Hers~ Closets, Separate Shower, Double Sinks, Soaking Tub. Additional Upper Bedrooms Each include a Private Bath Walk-in Closet. The Finished Walk-out Lower Level is perfect for Entertaining! It includes a Custom Built Bar, Dance Floor, Full Bath with Steam Shower Separate 8 Person Sauna. 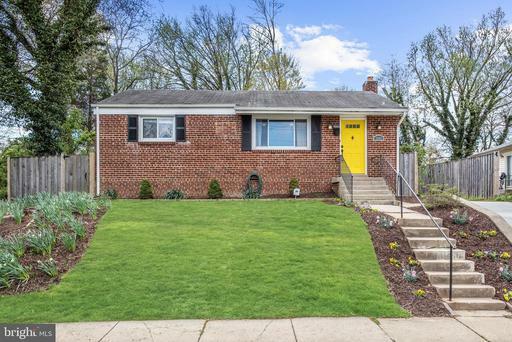 Hardwood floors, New Carpet, New Roof, Fresh Paint, Newer Systems Upgrades Galore. 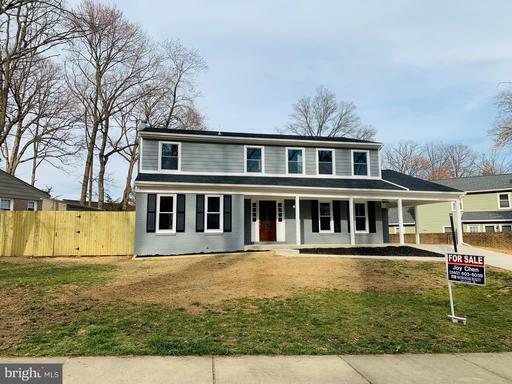 Open Sunday 4/7/19 From 1-3:30 pm. Welcome to this nature lover~s paradise! Situated on 2-acres, 17717 Pond Road features a 5/6 bedroom home, attached garage, shed, and lovely yard with mature gardens. The main level floorplan has generous room sizes and pleasing flow. The living room and dining room feature built-in corner china cabinets, pocket doors, dark wood molding, and large windows providing ample natural light; the wide opening lets you move between the rooms with ease. The family room offers a cozy spot with stone fireplace and wood-burning stove, plus access to the side screened porch. The spacious kitchen boasts granite countertops, plenty of cabinet space, breakfast bar, and serving buffet - perfect for both everyday living and entertaining; the adjacent mudroom has storage, laundry, and door to the 2-car garage. A library and powder room complete the main level. The upper level has a large Master suite with bedroom, full renovated bathroom, and oversized walk-in closet. There are four additional bedrooms, one with gabled storage and another with a window seat, as well as a full and half bath upstairs. On the lower level, there~s a rec room, storage/work room, and separate entrance to the yard. The desirable Pond community offers a private serene setting. Entertain, relax, garden, or bird watch in the backyard. The HOA provides access to the neighborhood pond where you can fish, boat, swim, and picnic. Shops/restaurants in Olney, Clarksville, and Highland are just a short ride. You are in close proximity to Washington, D.C., Columbia, and Baltimore. 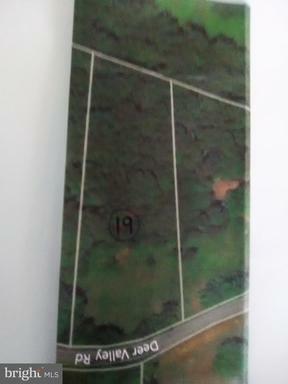 Commuter routes, including the ICC, I-95, New Hampshire Ave, Georgia Ave, Routes 198, 108 32, are all easily accessible. Listing Broker: GO BRENT, INC. Enjoy the convenience of living on Prestwick Road, just a few short blocks from your neighborhoods elementary, middle, and high schools. Acres of parkland and playgrounds are also nearby at Highland Stone and Beverly Farms Parks. 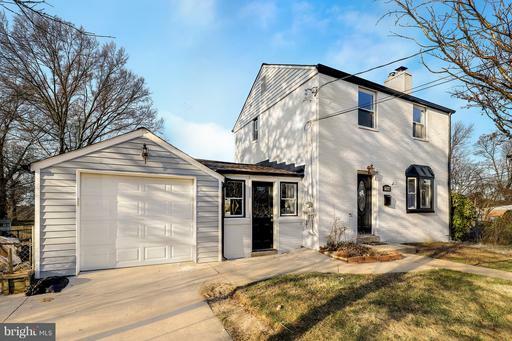 This is a place where block parties bring neighbors together and kids meet on the corner to walk to school.A beautiful flagstone porch leads you to the main level. The large, bright living room has crown molding, hardwood floors, and wooden blinds. Enjoy time together in the family room, with tall, built-in shelving and a brick, wood-burning fireplace. The deck is an ideal spot to relax and take in a sunset behind the trees, and theres plenty of front and backyard lawn to play. The completely renovated gourmet kitchen feels fresh and contemporary, with stainless steel appliances, custom cherry cabinets, granite countertops, and a dual fuel range. Drink your coffee in the sun-splashed breakfast area at the far end, where you can also access the laundry room and carport. The upper level has 4 bedrooms and 2 full baths, with a spacious owners suite. Youll love having a ceiling fan, custom walk-in closet, and newly renovated bathroom with ceramic tile throughout, double sinks, and luxury shower system with massage jets.The partially finished, walk-out lower level has a large recreation room with Berber carpet and plenty of space to entertain. Full size windows let the light pour in, and theres a full bath and huge storage area, including shelving and an extra refrigerator. This is a great opportunity to live in a move-in ready home near award-winning schools, parks, places of worship, and 270! MAJOR PRICE REDUCTION!!! INCREDIBLE VALUE!!! The Best of City Living Awaits You with this 2000+ Sq. 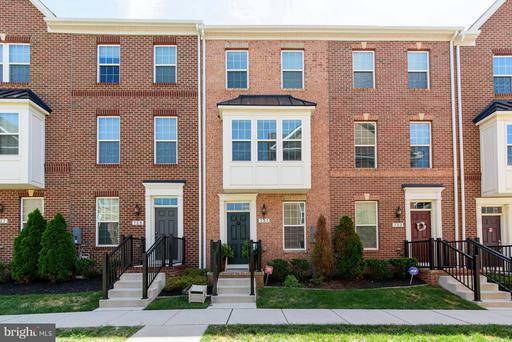 Ft 3 BR 3.5 BA Brick Front EOG Townhome in Sought After Canton! Enter the Living Room w/ Brick Surround Decorative Fireplace, Recessed Lighting, Gleaming Hardwood Floors Crown Molding That Flows Through the Formal Dining Room. Continue Into the Gourmet Eat-In Kitchen w/ Sparkling Granite Countertops, Sleek Stainless Steel Appliances Breakfast Bar and Step Out to the Fenced In Private Rear Patio, the Perfect Spot For Your Grill! Continue Upstairs to Find A Large Master Bedroom with Attached Bath and Access to Side Deck. An Additional Bedroom and Full Hall Bath Round Out the Second Level. The Third Level is Complete with a Second Master BD w/ Tray Ceiling Attached Bath - Proving Ample Space for All Your Needs! Continue up to the Rooftop Deck to Relax Enjoy Sweeping Views of the City! Easy Street Parking! Located in Canton - Theres so Much to See and Do! 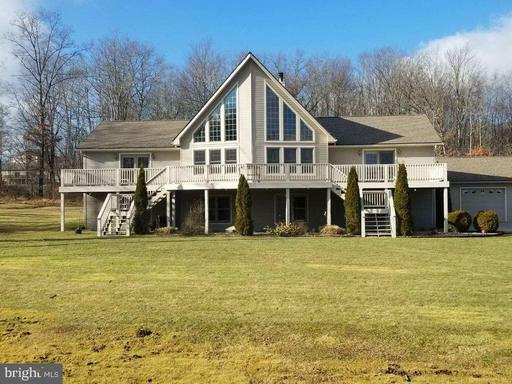 This home is in a great location with lake views. It includes a pool, 2 car garage, fire pit, covered back porch, and a large front deck over looking Broadford Lake. There are fun activities for the whole family with parks, boating, swimming, and even a personal zip line in the backyard. On 7/26/2017 this house appraised for $585,000. With 4,368 square feet of finished living space, there is room for family and friends to gather. If you would like additional information call 301616-8771. 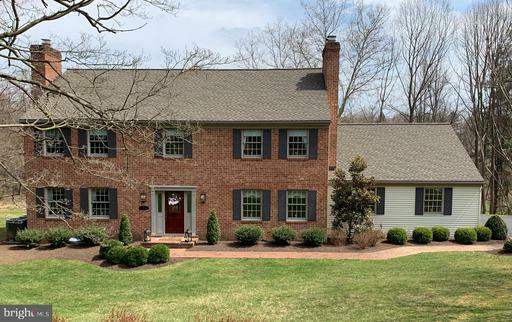 Stunning Colonial on 3.24 Acres Over 4,100 Sqft! Grand Foyer, Soaring Ceilings Gleaming HW Floors Main Upper Level! Formal Living Rm Dining Rm w/Beautiful Molding Stately Columns. y Rm w/Stone Profile FP. Gourmet Eat-in Kit w/Island, SS Appli, Brkfst Bar, Decorative Back Splash, Wall Oven Sunroom! Master w/Sitting Rm, 2 Walk-In Closets Spa-like FB. Private Lot Landscaped Grounds! Dynamite Eastport building lot 1/4/ acre +/-! Located in water access communty of Parkwood Eastport! Corner lot borderer by Bay Ridge Ave, Highland Ave and alley between Highland and Parkwood Ave. Multiple piers and slips in community Park. Income while you plan. Current rental generates $21,600 per year. Contact Agent for showing information...please do not go on property...tenant occupied. All brick detached home, clean and well maintained, featuring all hardwood floors, wood burning fireplace, fresh paint, and plenty of natural light. 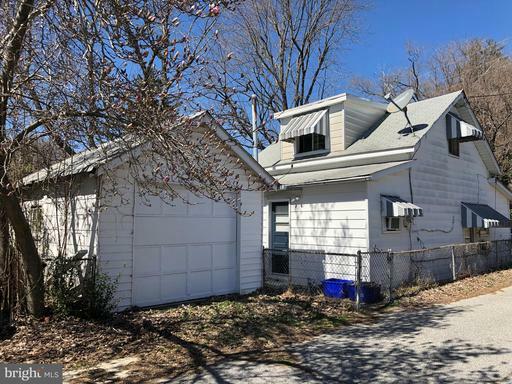 This home has 3 good size bedrooms, 1.5 bathrooms, a bright sunroom overlooking the fenced rear yard, a finished basement, and an attached garage. Large flat fenced rear yard. Very short walk just down the block to Indian Spring Terrace Park which has playground, basketball courts, tennis courts, and a community center. Easy access to major commuter routes makes this an ideal location. 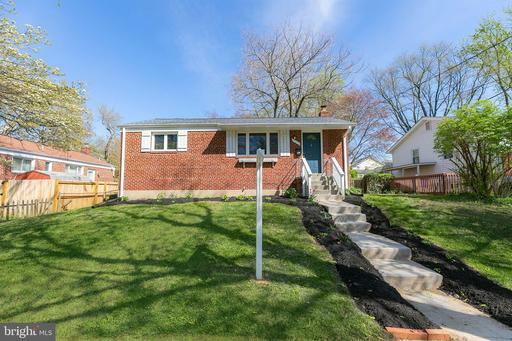 This home is move-in ready, or priced such that the new owners can make renovations and still have equity. Schedule your appointment today! 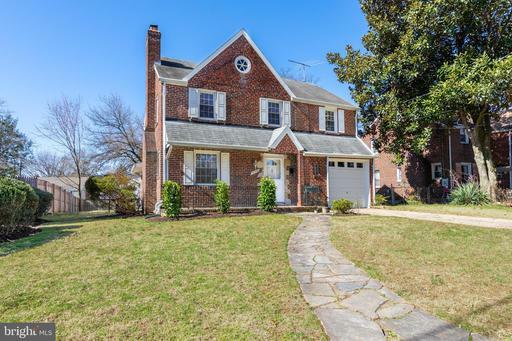 Fully Newly Renovated 5 bedrooms 4 and half bath 3 finished level single family home in the heart of Potomac! Easy access to Falls rd, 270 and village. Everything new inside and outside. Bright and spacious. New roof, new window, new paint, new doors, new lights through the house. New Gourmet kitchen with beautiful quartz countertop, upscale cabinets and stainless steel appliances. 3 levels new hardwood floor. upper level master suite with upscale spa style master bathroom. Three additional bedrooms and 2 additional new full bath. Lower level featured with recreation room ad 5th bedroom and 4th new full bathroom. New Fenced backyard. Huge new maintenance free deck. New concrete driveway. This is where home and an oasis meet! Schedule your pool party/crab feast now! The rear yard is an entertainer~s dream. With an outdoor pool, deck, tiki bar, koi pond and spectacular landscaping your parties will be a step above the rest!Almost 6000 square feet of indoor living space. Boasting 4 spacious bedrooms, 3 full baths, 2 half baths, main level office and a basement that exceeds all of your entertaining dreams. Gorgeous upgraded chefs kitchen, expansive breakfast room, two story great room with a stone fireplace and tons of natural light and windows. Master bedroom ensuite bath, a walk in closet you could literally move in!!! Spacious basement loaded with TVs and a bar, perfect for year round fun! Why not have game night here? This isn~t a must see, it~s a must have!! Gorgeous home! Open house Sunday 3/24 from 1-3pm! ! FULLY RENOVATED ! 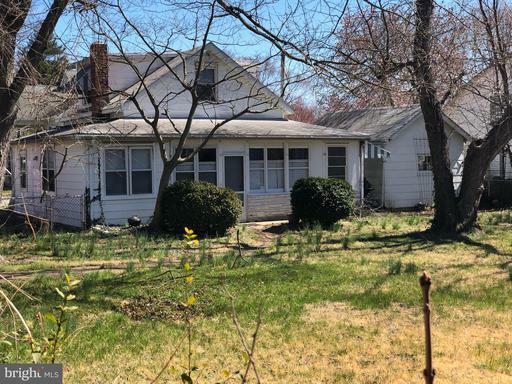 3bedroom 3 bath charming brick Cape Cod offers 2 kitchens w/ new stainless steel appliances, new flooring, LL kit w/ Rental possible by getting permit from county -separate entrance and own laundry! HUGE master suite above. Entire home has been freshly painted, new plaster, hardwood flooring, New HVAC and new Sewer Line! New W/D! Enclosed sunny porch, large yard, garage/shed. SEE LIST OF IMPROVEMENTS. MOVE IN READY! Largest backyard in neighborhood that includes a one car garage. FIOS, and close to the new Purple Line Metro station. Only 4 blocks or a 5min walk!!! 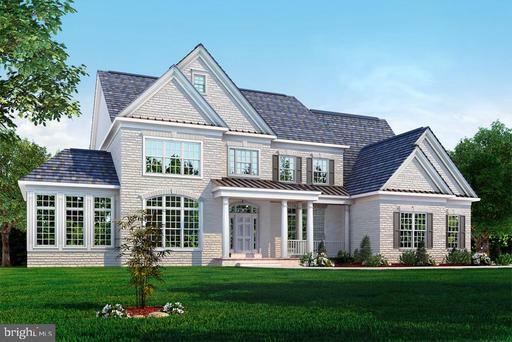 Exceptional custom Trinity home nestled on 1.33 premium acres in The Chase at Stoney Brook offering unparalleled style combined with casual comfort ideal for everyday living. The desirable Highland Manor model greets you with a grand two story foyer, elegant lighting, gleaming hardwood floors, dual stairs, intricate molding and architectural columns. The perfectly proportioned formal rooms are well suited for celebratory dinners and intimate entertaining. Travel into the inviting family room adorned with sunbathed windows, coffered ceiling, and a gas burning fireplace. Prepare meals for family and friends in the chef inspired kitchen featuring a center island, breakfast bar, granite counters, decorative tiled backsplash, KitchenAid stainless steel appliances, recessed lighting, planning station, and a casual dining area. A main level bedroom provides the perfect space for the in laws or visiting guests. A mud room and powder room complete the masterfully designed main level. Stunning design elements continue upstairs in the master suite complemented with two walk-in custom closets and a separate sitting room. Wash your cares away in the opulent spa-inspired bath boasting a decadent soaking tub, separate vanities and an oversized glass enclosed shower. Three generously sized bedrooms, dual entry bath, en-suite bath, laundry room, and an overlook of the foyer conclude the upper level sleeping quarters. The lower level provides the perfect recreation room, wet bar with a Sub Zero refrigerator, game room, powder room, and a home theater for movie night. Host the best barbecues from the comfort of the inviting Trex deck, overlooking a play area, secure storage, and a picturesque preservation view. Updates 2011-2019: finished lower level and rear deck. 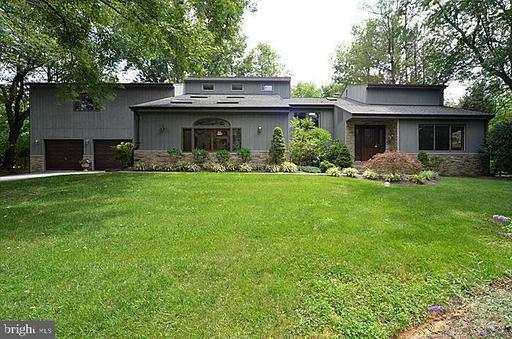 This extraordinary property aims to please and is truly the embodiment of Maryland~s good life! Need extra space? Search no further! 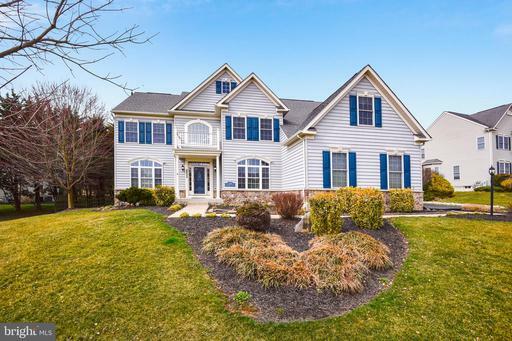 This gorgeous and light-filled colonial located in the spectacular highland meadow community is welcoming you home! 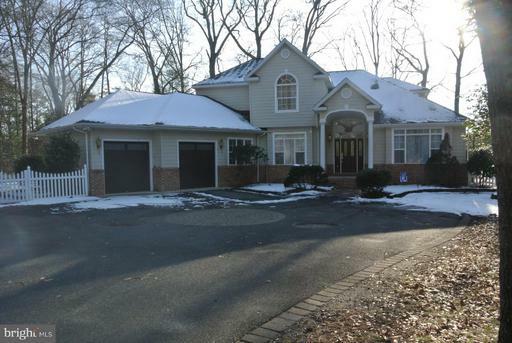 6 BR/5.5BA well-maintained home has more than enough! Luxury home features maple hardwood floor, 9ft+ ceilings with crown molding, and recessed lighting throughout. Gourmet open kitchen with upgraded maple cabinets, huge center island with granite countertop and SS energy star appliances. Owners suite on the second level wows w/walk-in closet, en-suite grand master bath with all the bells and whistles, including a soaking tube, separate shower, double vanity, and radiant tiles. Second master bedroom can be in-laws suite with luxury bath and walk-in closet as well. Finished basement with huge recreational room, loft on the top floor and a custom built deck are perfect for family/friend gatherings. While enjoying upscale living, grocery stores, shops, restaurants and movie theater are just few minutes away in Waugh Chapel town center. 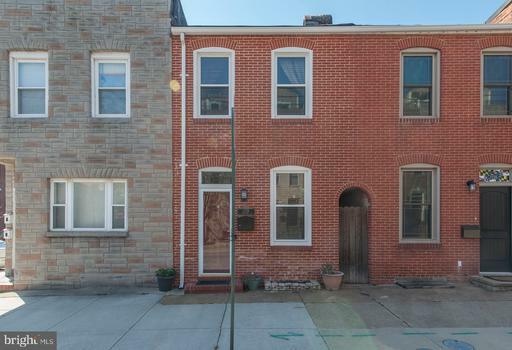 Only minutes to major routes w/easy access to Annapolis, D.C, and Baltimore. This Bright, spacious, elegant home could be yours. Schedule a tour today!! YOU BELONG IN CANTON! 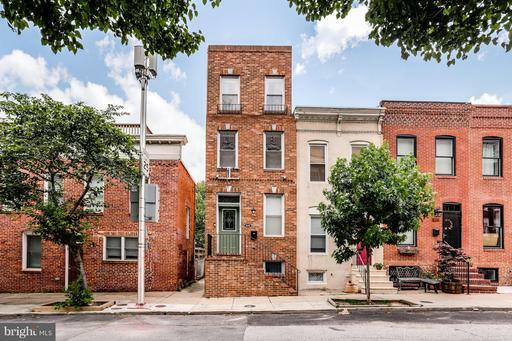 THIS CITY CHIC EOG ROW-HOUSE IS A MUST SEE! FEATURES - 3 BEDROOMS -2.5 BATHS - HARDWOOD FLOORS - BDRM LEVEL LAUNDRY - MASTER SUITE ON 3RD LEVEL - BDRM W/A INCLUDED MURPHY BED - GOURMET UPDATED KITCHEN W/SS, GRANITE CENTER ISLAND BREAKFAST BAR - LIGHT AIRY LIVING ROOM - UPDATED BATHS W/CERAMIC TILE --PLENTY OF STORAGE--LOTS OF CLOSET SPACE PLUS AMPLE BASEMENT STORAGE-- WET BAR ROOF TOP DECK W/AMAZING VIEWS MAKES FOR EASY ENTERTAINING! WALKING DISTANCE TO ALL MAJOR CANTON ATTRACTIONS! 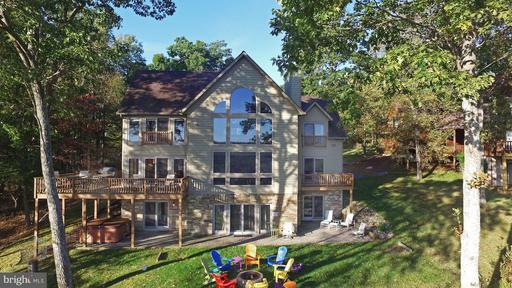 Impressive 6.5 BR home with dock slip and great lake mountain views! The spacious interior boasts multiple living areas, cathedral ceilings, hardwood floors, 4 master suites, outdoor hot tub 2 fireplaces. Located in the gated DC Highland community with amenities that include an outdoor pool, tennis, hiking trails playground. Excellent history as a 5 bedroom vacation rental home, Big Chill. 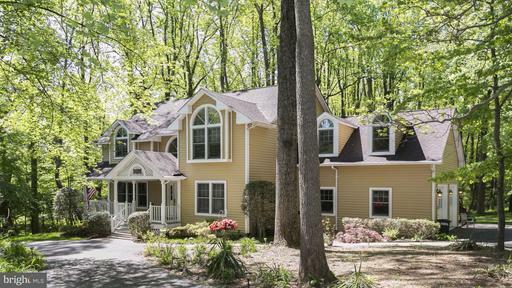 Custom colonial nestled on a private wooded lot with access to community Lake!! 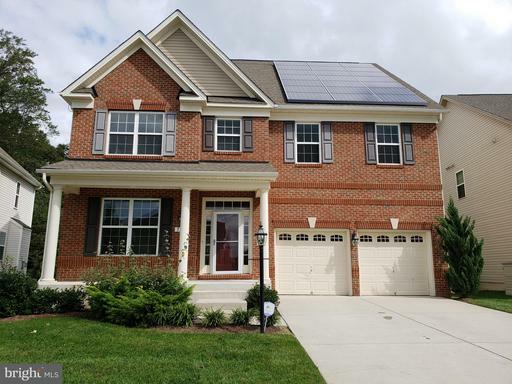 Boasting gleaming hardwood floors, two story foyer family room, 2 Fireplaces, dual stairs, Kitchen w/ corian counters, island, cooktop casual dining area/breakfast room. Main level library laundry rm. Master w/ lux BA walk in closet. Finished basement offers rec rm, 2 opt bedrooms, Full Bath wet bar. Enjoy Patio in fenced yard 3 -Car garage!! River Hill Schools! 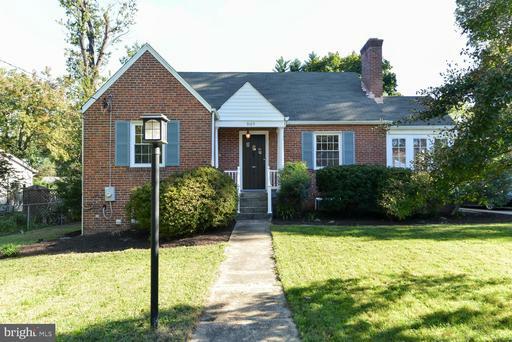 Highland Meadows home with Oversize Master, Large secondary bedrooms. Extra Bonus room in basement with Full Bath. Fully Finished Basement with added storage. Hardwood extended through 1st floor including Family room, Sitting room, Eat in kitchen and Formal Dining room. Kitchen open to family room ideal for entertaining, Double ovens, Front Porch, 2 car garage its a home with endless possibilities. Relax on the large deck in the backyard with shade trees. Close to Andrew AFB, 495 301. Dont miss out on an opportunity to OWN a Home! Call Kimberly today to get started. 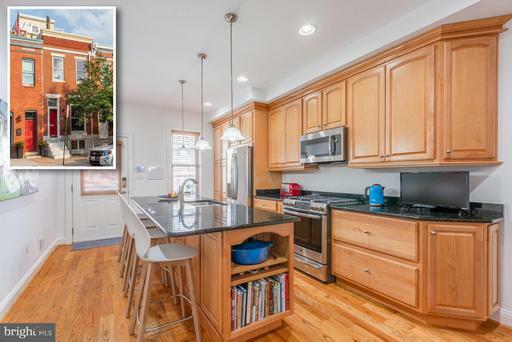 BEAUTIFUL RENOVATION IN THE HEART OF CANTON WITH 6 YEARS REMAINING ON THE CHAP TAX CREDIT. SUPER LOW TAXES- $4200 ANNAULLY! 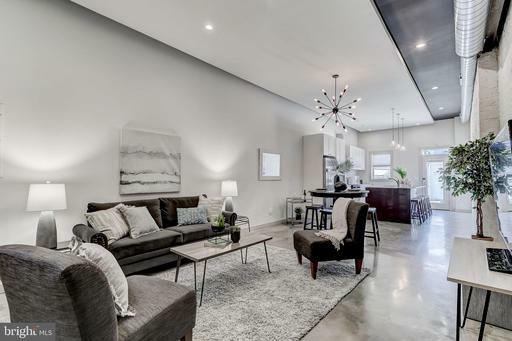 GIGANTIC OPEN FLOOR PLAN WITH GLEAMING INDUSTRIAL CONCRETE FLOORS. 3 BEDROOMS WITH 3 FULL BATHROOMS WITH DUAL MASTER SUITES. ENJOY CUSTOM WHITE CABINETRY, UPGRADED TRIM AND PAINT PACKAGE, IMPORTED TILE, QUARTZ COUNTERTOPS, UPGRADED SS APPLIANCE PACKAGE IN DESIGNER CHEFS KITCHEN WITH 9FT ISLAND. DESIGNER LIGHTING. EXPOSED BRICK. LOADS OF NATURAL LIGHT. 11FT+ CEILINGS. WALK IN SHOWERS. ECOBEE SMART HOME THERMOSTATS WITH 2 ZONE HVAC, RING DOORBELL, ARLO VIDEO SURVEILLANCE, AND FULL SECURITY SYSTEM. WALK IN CLOSETS. GIGANTIC OFF STREET PARKING PAD WITH OVERSIZED ALLEY ACCESS. UPGRADED DECK - GREAT FOR ENTERTAINING WITH STUNNING WATER AND CITY VIEWS. CLOSE PROXIMITY TO LOCAL SHOPPING, DINING, AND ALL MAJOR HIGHWAYS. SCHEDULE A PRIVATE TOUR TODAY! 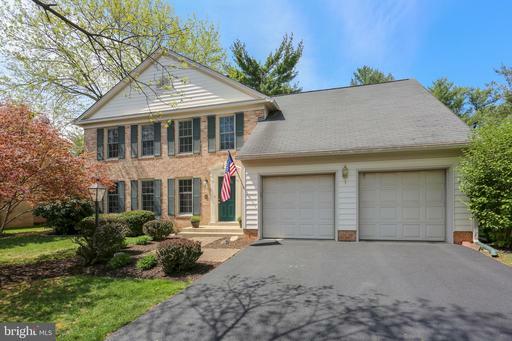 Beautiful Colonial located in the Indian Springs Club Estates of Silver Spring. Stately architectural columns welcome you to this updated home boasting refinished hardwood floors and a fresh neutral color palette throughout. Completely remodeled kitchen with granite counters, stainless steel appliances, recessed lighting and access to the expansive back yard. Open space dining and living room featuring a wood burning fireplace and opens to a bright and airy sun room for additional living space. Newly installed main level powder room. Finished lower level offers a recreation room, bonus room and full bath. Fantastic back yard features a spacious deck and a brick outdoor fireplace. Plus a 1 car attached garage. Updates include: powder room, refinished hardwood floors, garage door, backup generator and more. NEW PRICE!!! 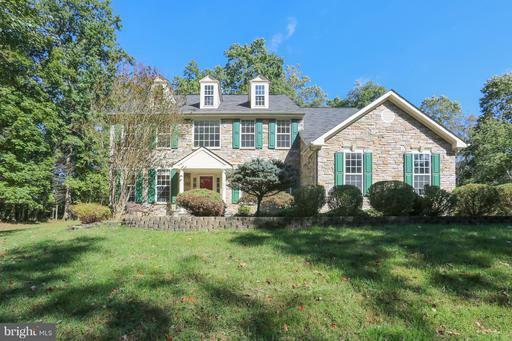 Impressive Colonial in "The Highlands of Hunt Valley"... Idyllic Setting Overlooking the 6th hole of the Hunt Valley Country Club. Traditional Floor Plan with natural light streaming into the spacious Living Dining Room, Eat-in Kitchen Family room - Living Room has crown molding wb fireplace - Dining room is open to the Living room Kitchen with french doors leading out to the screen porch - The Kitchen has handsome cabinetry a Bi-level Center Island with cook top, Granite Counters, Wet Bar Breakfast Nook - Family Room has a wood burning fireplace built-in bookcase - Remodeled Powder Room Mud Room with built-in bench offering plenty of storage access to the 2 car garage - Upstairs is the Master Suite with wb fireplace, walk-in closet deluxe bath with jacuzzi tub, shower heated floors - 3 additional bedrooms hall bath plus laundry station - Lower Level has "Everything You Need For Entertaining" with a 2nd Kitchen, spacious Rec Room, full bath 5th bedroom or playroom with WIC - Newer Roof, Trane Heat Pumps, Water Heater More! - This home also boasts a wonderful indoor - outdoor flow with access from the Kitchen, Dining Family room leading out to the patio, screen porch, terraced yard and newly designed fire pit - Lush hardy landscaping surrounds the home. Beautiful Rowhome with Light Filled Interiors, a Neutral Color Palette, and Design-Inspired Features Throughout, Gleaming Hardwood Floors, Classic Crown and Chair Rail Moldings, Box Wainscoting, Stainless Steel Appliances, Decorative Backsplash, Granite Counters, Breakfast Bar, Master Bedroom with Attached Private Full Bath, Jetted Soaking Tub, Brick Exposed Walls, Fully Finished Lower Level. Exterior Features Include: Parking Pad, Tiered Deck, Rooftop Deck, Sidewalks, Street Lights, and City Views. 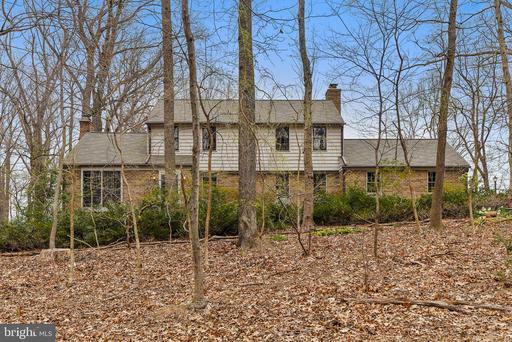 LOCATION LOCATION LOCATION....This home features a beautiful wooded, county lot with NO CITY TAXES! It is convenient with city services, close to downtown, traffic corridors and shopping, but with a quiet and quaint country atmosphere. This home is located across from Schumaker Pond. The home is a gorgeous custom, stick built contemporary home that features 4 bedrooms, with 3,765 square feet of traditional "European" styled custom living. Large rooms with lots of closets and storage space, with an enormous amount of amenities and outdoor living spaces. This home has custom wood trim, large crown molding, fluted casing, extra wide base boards, chair rail, custom columns, raised paneling, solid cherry cabinetry, vaulted ceilings to 19 heights, custom suede paint throughout, with maximum thickness insulation throughout. The foyer and family room have 2nd story balconies overlooking the main floor area. There is a natural gas fireplace in the family room with custom cherry trim mantle, marble surround and hearth with a solid cherry inlay wall from mantle to ceiling. The floors in this home include marble, ceramic tile, Brazilian Cherry hardwood floors and 52-oz wall-to-wall carpeting. The kitchen has 42" custom cherry cabinetry with under and over cabinet lighting, marble floors and granite counter tops. There is also a wine rack, pantry, bar, and eat-in breakfast area. High efficiency appliances throughout include a double oven range, a built-in combination convection oven/microwave, double door dishwasher, trash compactor, and instant hot water faucet. The laundry room has a front-load high efficiency washer and dryer and sink. There are 2 full and 1-half baths in this home, with a 5-ft walk-in shower and whirlpool tub with water heater in master bath, all with cultured marble/granite vanity tops and floors. It has a large double car garage with floored storage area above and a commercial acrylic floor covering system with a reinforced concrete floor. The driveway is paved and edged with brick pavers and geometric paver brick inserts. There is a sprinkler system, large twin rear decks and an exposed river bank stone aggregate concrete patio with stereo surround sound. Custom exterior lighting includes flood lights at all building corners and low voltage lighting system surrounding the house. There is a custom, two-zone security/burglar alarm with interior motion detectors and window breaking sensors, as well as video surveillance in front and rear of home sent to a wall monitor and computer system. The roof on this home has high height profile 50-year architectural fiberglass shingles. This house is a must see! THIS MOVE IN READY INTERIOR TOWNHOME FEATURES -- 3 BEDROOMS 2 MASTER SUITES 3 FULL BATHROOMS -- LARGE OPEN GOURMET KITCHEN WITH SS APPLIANCES, GRANITE COUNTERS AND DECK ACCESS -- LIVING ROOM WITH EXPOSED BRICK WALL HARDWOOD FLOORS -- LAUNDRY ON UPPER BEDROOM LEVEL -- FULL BUMPOUT--FULL SIZE DECK--FINISHED GARAGE PARKING PAD WITH ROOM FOR 2 CARS -- THIS IS A MUST SEE! 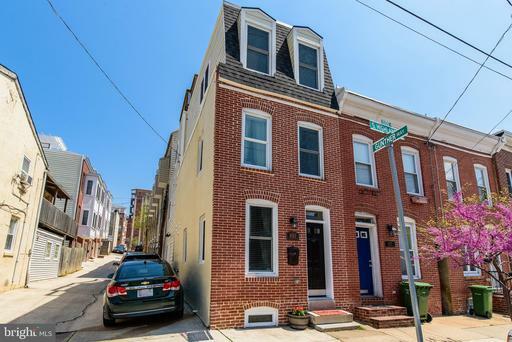 You have to see the quality construction of this two story colonial no details have been missed! Kitchen with breakfast bar, granite and Stainless steel appliances. Hardwood floors on whole 1st level!! Master bedroom with large walk-in closet, bath with double sinks w/granite, large shower w/custom ceramic tile surround. Large hall bath with ceramic tile granite vanity. Large upstairs bedrooms and a upstairs laundry room. 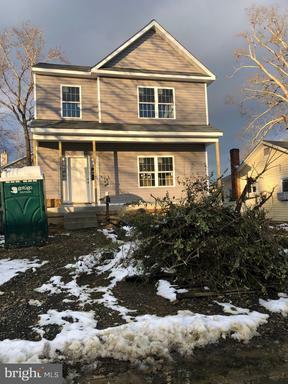 Fully finished basement to include all full size windows, bedroom suite with full bath w/custom tile vanity w/granite and huge family room, lots of storage and exterior door walk out. Must see to appreciate the quality. Neighborhood amenities to include 7 beaches, playgrounds, b-ball court, boat ramp and more!!! Home can be complete in 30 days or less!! 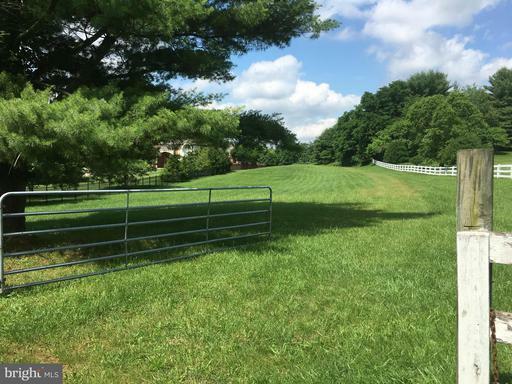 Beautiful 1.16 Acre Lot Located in Highland, Howard County! Bring Your Own Builder or Contact Us to Put You in Touch With Some of the Best Builders in Howard County. Enjoy Close Proximity to Maple Law, Clarksville, and Downtown Columbia Offering a Vast Variety of Shopping, Dining, and Entertainment. Major Area Commuter Routes Include MD-108, MD-32, and US- 29. Welcome Home! Back On The Market with a New Reduced Price! This beautifully sited Victorian style home located on a 1.75 acre lot which backs up to the edge of an old growth forest. 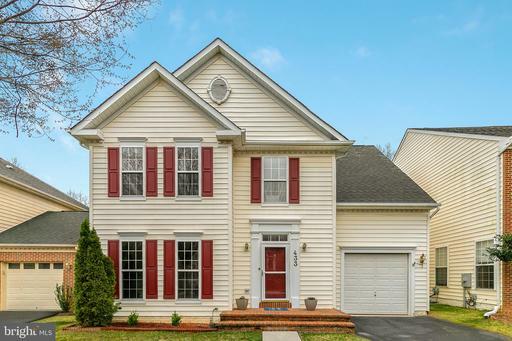 This spacious 5 bedroom and 4 full bath features a circular driveway and Koi pond. Grand 2 story foyer w/spiral staircase. Large, open upgraded kitchen with granite counters overlooks family room with gas fireplace and stonewall and french doors to large rear deck. Expansive Master Bedroom w/luxurious bath, Jacuzzi tub separate shower. Basement designed to entertain with wood burning stove. This home has a lot to offer. "Top of the Line" upgrades is simply to long to list! Home is in the Riverhill District and truly is a Must See!! Spectacular opportunity to live down a hidden country lane in the Heart of Highland. Mesmerizing views and tranquility engulf you in your own personal paradise. Award Winning Winthorpe Design Build, Inc. has many home styles to choose from. 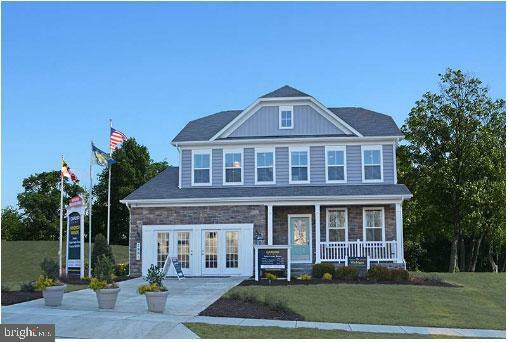 This price reflects the first home shown, but additional samples are also featured in the photos. You can also bring your own design. See Spec Sheet.